A woman who wears high heels and Dennis The Menace tights is celebrating after being crowned the ladies’ World Conker [horse chestnut] Champion. Landlady Sandie Gardner, 36, won the title in Ashton, Northamptonshire, three years after first lacing a horse chestnut on a string. She runs a bed and breakfast business in Abjat-sur-Bandiat, near Limoges, France, and the day she moved there the village was holding the French championships. More than 200 men and over 60 women took part in the event, which has been staged annually since 1965 by the “Ashton Conker Club” to raise money for charity. 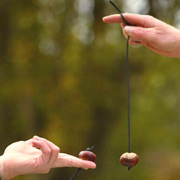 One contestant suspends his conker from one hand while the other contestant attempts, by swinging his conker, to break the other with a single blow. If he succeeds, he wins the contest. If not the positions are reversed and the first contestant attempt to break his opponent’s conker. The positions are repeatedly reversed until there is an outcome. As I remember playing the game, for each conker a count was kept of the number of wins that it had made. Thus one conker was said to be a two-er if it had notionally two wins, and a six-er if it had had six wins. However a curious and somewhat irrational scoring mechanism	pertained. A winning conker was credited with the wins of its defeated opponent. A two-er, defeating a six-er became a nine-er. In an effort to prolong the life of his conkers a player would try pickling them in vinegar, baking them in an oven and various other ‘secret’ methods. October 8, 2006 Posted by oldstersview | Uncategorized	| Comments Off on Conker Championship? Venturi showed off its new self-powered car, the Venturi Eclectic, at the Paris Motor Show (which runs through October 15th). The Eclectic is an “autonomous energy vehicle,” powered independently of any natural energy reserves. 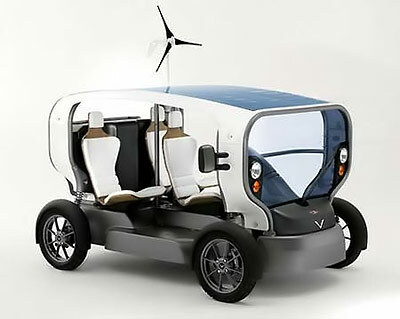 It runs on a small 22-hp electric motor charged by solar cells or wind turbines; it’s equipped with NiMH (NIV-7) batteries that are liquid-cooled. The Eclectic’s funky design resembles a golf buggy or a souped-up horse carriage more than a conventional car. It has a range of 50 km (about 31 miles) on one charge, and reaches an electrically restricted top speed of 50 kmh (about 31 mph). The vehicle’s roof is covered with 2.5 square meters of solar cells and an integrated wind-turbine, which allows the car to recharge while standing idle. The share of solar recharging is approximately 7 km (4.3 miles) per day of exposure. In the absence of sunlight, the Eclectic can drive on wind power alone for 15 km (9.3 miles) after a full day of charging. If all else fails, you can still plug the Eclectic in at home and charge it from a standard connection. 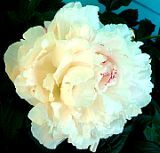 The Eclectic goes into production next summer and will sell for 24,000 euros, or around $30,486. A 1,124-pound pumpkin won the top prize at a contest in Prairieview during the 7th Annual Giant Pumpkin weigh-off. The summer heat and heavy rain this year have produced some record-sized gourds this year. The record last year was 1,139 pounds. Gene McMullen missed that record by 15-pounds, but still won first prize. He received a cash prize and a championship belt. October 8, 2006 Posted by oldstersview | Uncategorized	| Comments Off on 1,124 pound pumpkin—Pie, anyone? A US halloween festival has sparked a row by offering free admission to anyone who eats a live, Madagascar hissing cockroach. The stunt by the annual Six Flags Kentucky Kingdoms Fright Fest in Louisville has been met with protests of both child and animal cruelty. 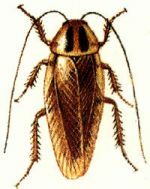 Some say it targets poor children and is a form of child abuse, while an animal rights group says its cruel to cockroaches. But the amusement park claims to have received only a “minimal number of complaints” and has no intentions of canceling it, said park spokeswoman Carolyn Gaeta McLean. “People complaining are not going to stop us,” she told the Courier-Journal.